July 30, 2010, 2 p.m.
WikiLeaks and continuity: What if we had a news outlet exclusively focused on follow-up journalism? By Megan Garber @megangarber July 30, 2010, 2 p.m. Reaction will be unbearably lighter than we have a right to expect — not because the story isn’t sensational or troubling enough, but because it’s too troubling, a mess we cannot fix and therefore prefer to forget…. The mental model on which most investigative journalism is based states that explosive revelations lead to public outcry; elites get the message and reform the system. But what if elites believe that reform is impossible because the problems are too big, the sacrifices too great, the public too distractible? What if cognitive dissonance has been insufficiently accounted for in our theories of how great journalism works…and often fails to work? It’s early still, of course, but it’s all too likely that Rosen’s forecast — the leaked documents, having exploded, dissolving into a system ill-equipped to deal with them — will prove accurate. I hope we’ll be wrong. In the meantime, though, it’s worth adding another layer to Rosen’s analysis: the role of journalists themselves in the leaked documents’ framing and filtering. If, indeed, the massive tree that is WikiLeaks has fallen in an empty forest, that will be so not only because of the dynamic between public opinion and political elites who often evade it; it will also be because of the dynamic between public opinion and those who shape it. It will be because of assumptions (sometimes outdated assumptions) journalists make about their stories’ movement through, and life within, the world. The real challenge we face isn’t an empty forest; it’s a forest so full — so blooming with growth, so booming with noise — that we forget what a toppling tree sounds like in the first place. It used to be that print and broadcast culture, in general, offered journalists a contained — which is to say, automatic — audience for their work. When you have subscribers and regular viewers, their loyalty insured by the narrowness of the media marketplace, you have the luxury of ignoring, essentially, the distribution side of journalism. The corollary being that you also have the luxury of assuming that your journalism, once published, will effect change in the world. Automatically. And investigative journalism, in particular, whether conducted by Bly or Bernstein or Bogdanich, generally operated under the sunshine-as-Lysol theory of distribution: outrageous discoveries lead to outraged publics lead to chastened power brokers lead to social change. (For more on that, give a listen to the most recent Rebooting the News podcast.) Journalism was a lever of democracy; publication was publicity, and thus, as well, the end of an outlet’s commitment to its coverage. The matter of distribution, of a big story’s movement through the culture, wasn’t generally for journalists to address. Which was a matter of practicality, sure — as a group, reporters are necessarily obsessed with newness, and have always been stalked by The Next Story — but also one of design. There’s a fine line, the thinking went, between amplification of a story and advocacy of it; the don’t-shoot-the-messenger rhetoric of institutional newsgathering holds up only so long as the messengers in question maintain the appropriate distance from the news they’re delivering. And one way to maintain that distance was a structured separation from stories via a framework of narrative containment. Produce, publish, move on. The web, though, to repeat its ur-observation, is changing all that. Digital platforms — blogs, most explicitly, but also digital journalism vehicles as a collective — have introduced a more iterative form of storytelling that subtly challenges print and broadcast assumptions of conceptual confinement. For journalists like Josh Marshall and Glenn Greenwald and other modern-day muckrakers, to be a journalist is also, implicitly, to be an advocate. And, so, focusing on the follow-up aspect of journalism — not just starting fires, but keeping them alive — has been foundational to their work. Increasingly, in the digital media economy, good journalists find stories. The better ones keep them going. The best keep them burning. And yet, to return to the WikiLeaks question, that ethos of continuity hasn’t generally caught on in the culture more broadly — among journalists or their audiences. And one reason for that is the matter of momentum, the editorial challenge of maintaining reader interest in a given subject over a long period of time. Political issues caught in congressional inertias, military campaigns that stretch from months to years, social issues that hide in plain sight — their temporality itself becomes a problem to be solved. There’s a reason why, to take the most infamous example, political campaigns are so often indistinguishable from an episode of “Toddlers and Tiaras“: campaigns being year-long affairs (longer now, actually: Mitt Romney and Mike Huckabee are probably digging into Maid-Rite loose-meats as I type), journalists often focus on their trivialities/conflicts/etc. not necessarily because they think that focus leads to good journalism, but because they think, probably correctly, that it sustains their audiences’ attention as election season slogs on. Which is all to say — and not to put too expansive a point on it, but — time itself poses a challenge to the traditional notion of “the story.” Continuity and containment aren’t logical companions; stories end, but the world they cover goes on. The platform is ill-suited to the project. While addressing that problem head-on is no easy task — it’s both systemic and cultural, and thus extra-difficult to solve — I’d like to end with a thought experiment (albeit a small, tentative, just-thinking-out-loud one). What if we had an outlet dedicated to continuity journalism — a news organization whose sole purpose was to follow up on stories whose sheer magnitude precludes them from ongoing treatment by our existing media outlets? What if we took the PolitiFact model — a niche outfit dedicated not to a particular topic or region, but to a particular practice — and applied it to following up on facts, rather than checking them? What if we had an outlet dedicated to reporting, aggregating, and analyzing stories that deserve our sustained attention — a team of reporters and researchers and analysts and engagement experts whose entire professional existence is focused on keeping those deserving stories alive in the world? Sure, you could say, bloggers both professional and amateur already do that kind of follow-up work; legacy news outlets themselves do, too. But: they don’t do it often enough, or systematically enough. (That’s a big reason why it’s so easy to forget that war still rages in Iraq, that 12.6 percent of Americans live below the poverty line, etc.) They often lack incentive to, say, localize a story like the War Logs for their readers. Or to contextualize it. Or to, in general, continue its existence. An independent outlet — and, hey, this being a thought experiment, “independent outlet” could also include a dedicated blog on a legacy outlet’s website — wouldn’t prevent other news shops from doing follow-up work on their own stories or anyone else’s, just as PolitiFact’s presence doesn’t preclude other outlets from engaging in fact-checking. A standalone shop would, however, serve as a kind of social safety net — an insurance policy against apathy. I do, too. I’d love to find out. 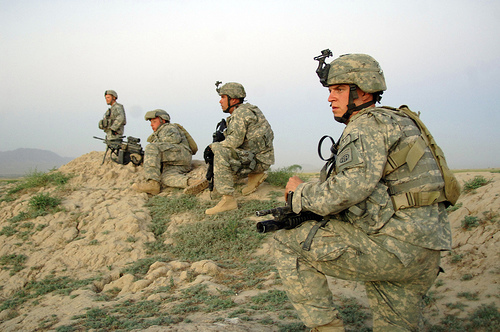 Photo of U.S. soldiers in Pana, Afghanistan, by the U.S. Army. 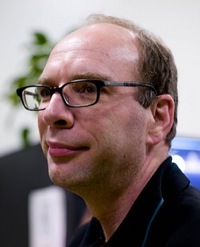 Photo of Jay Rosen by Joi Ito. Both used under a Creative Commons license. POSTED July 30, 2010, 2 p.m.
Garber, Megan. "WikiLeaks and continuity: What if we had a news outlet exclusively focused on follow-up journalism?." Nieman Journalism Lab. Nieman Foundation for Journalism at Harvard, 30 Jul. 2010. Web. 20 Apr. 2019. Garber, Megan. "WikiLeaks and continuity: What if we had a news outlet exclusively focused on follow-up journalism?." Nieman Journalism Lab. Last modified July 30, 2010. Accessed April 20, 2019. https://www.niemanlab.org/2010/07/wikileaks-and-continuity-what-if-we-had-a-news-outlet-exclusively-focused-on-follow-up-journalism/. | title = WikiLeaks and continuity: What if we had a news outlet exclusively focused on follow-up journalism?